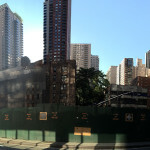 It’s always a pleasure when a hulking above-ground parking garage bites the dust; this is not Miami after all, take the subway! 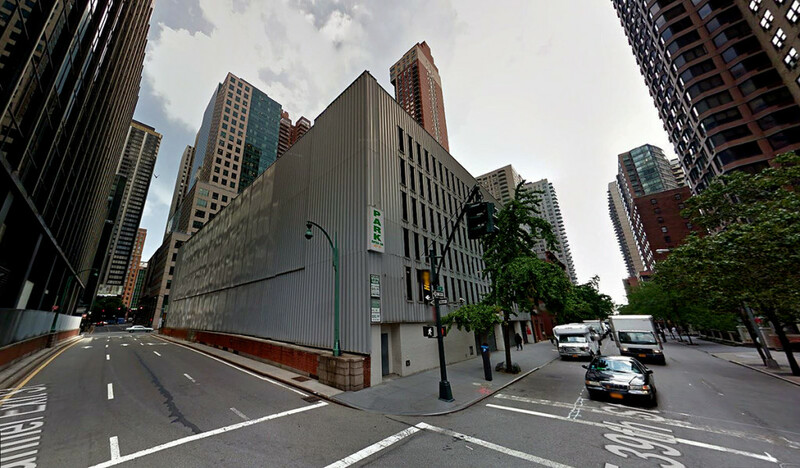 And thanks to the legendary real estate firm Fisher Brothers, a soul-crushing 705-car parking garage at 225 East 39th Street was razed last year in preparation for an elegant 36-story rental tower. 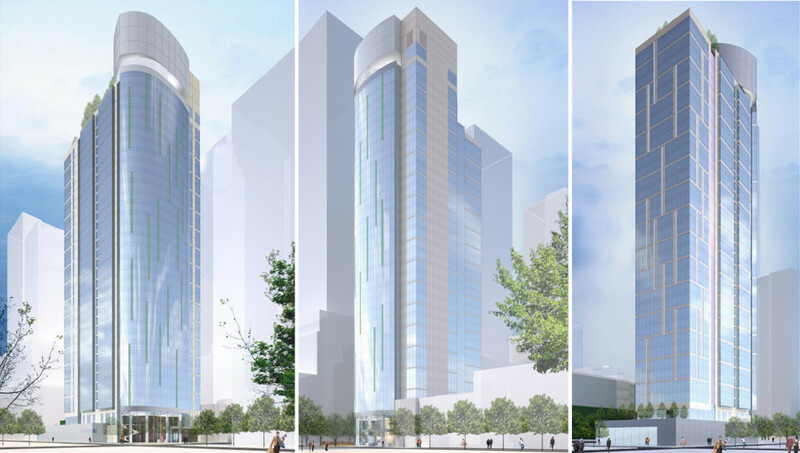 New renderings posted on the development firm’s website illustrate how the tower may bring a bit of pizzazz to a rather un-glamorous section of Murray Hill. 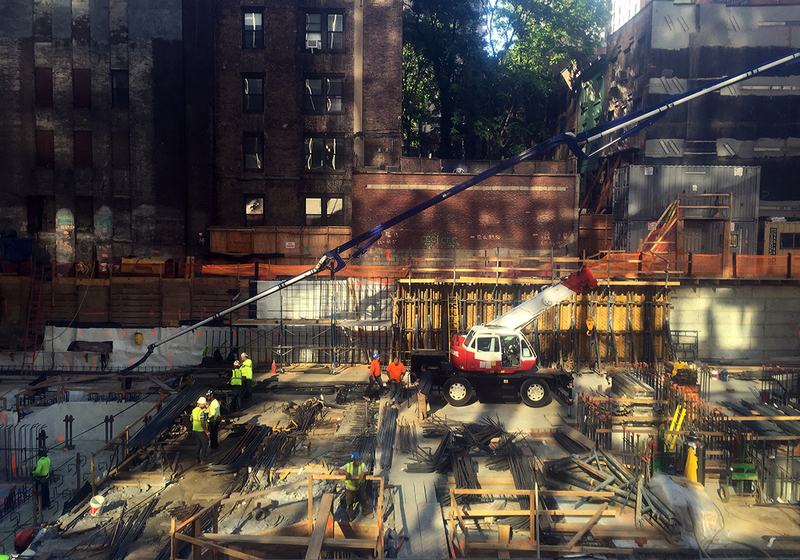 With completion scheduled for spring 2017, groundwork is well underway with sections of the foundation slab poured and steel rebar projecting skyward. 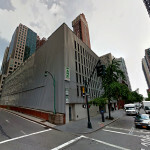 The 22,000-square-foot site spans the entire eastern block-front of a Midtown Tunnel exit street between 39th and 40th streets. 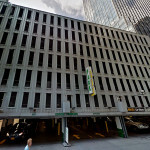 According to the New York Post, in 2013 the Fisher Brothers spun off a stake-hold of the 1.1 million-square-foot office tower across the street to the Rockpoint Group and upped their equity in the parking garage for a possible redevelopment. 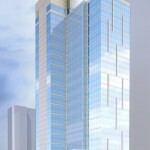 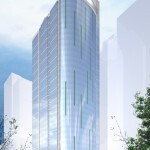 The firm commissioned Handel Architects to design the 375,000-square-foot tower, which will house 373 rental units. 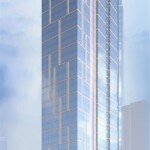 Twenty percent of the units will be affordable and geared towards residents making 60 percent of the area’s median income. 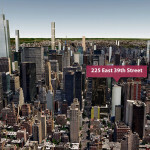 The tower’s entrance will be positioned near the site’s southwest corner along well-trafficked 39th Street. 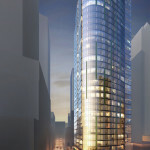 Similar to the developer’s Tribeca skyscraper 111 Murray, the glass-clad entrance will be set back from the street and feature a gracefully curving facade. 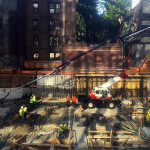 While the 395-foot-high tower is hemmed in by taller structures on most sides, its bending southeast prow will provide the building’s best views that overlook mid-rise sections of Murray Hill and NoMad. 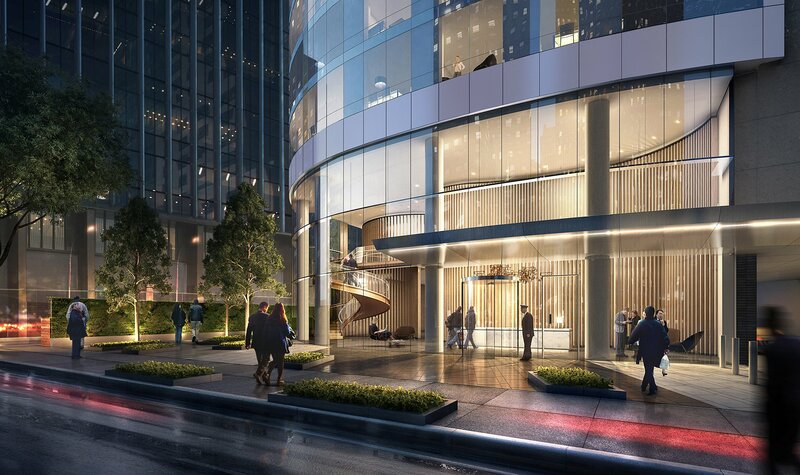 The high-ceilinged lobby features an undulating slatted wall that hopes to provide residents with the warm feeling of arriving home. 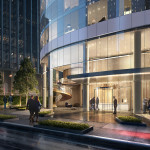 A spiral staircase leads to the upper level of the building’s amenity floor. 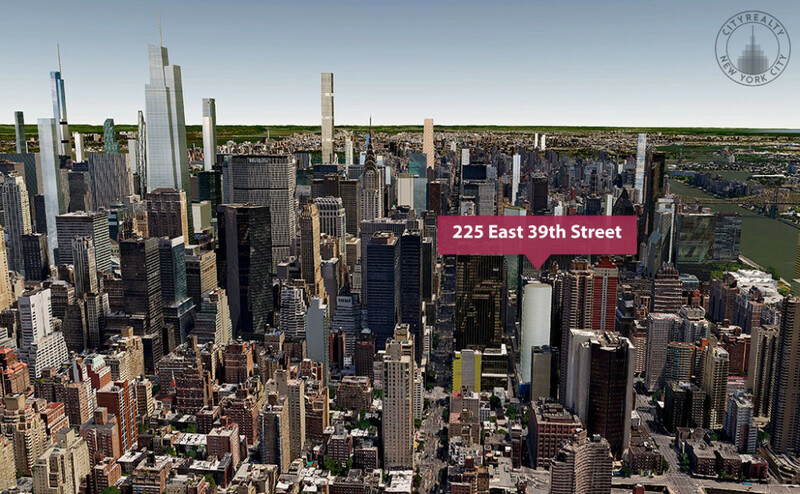 Here there will be a fitness center, swimming pool, yoga studio, lounges, children’s playroom, on-site parking, bike storage, and a rooftop terrace. 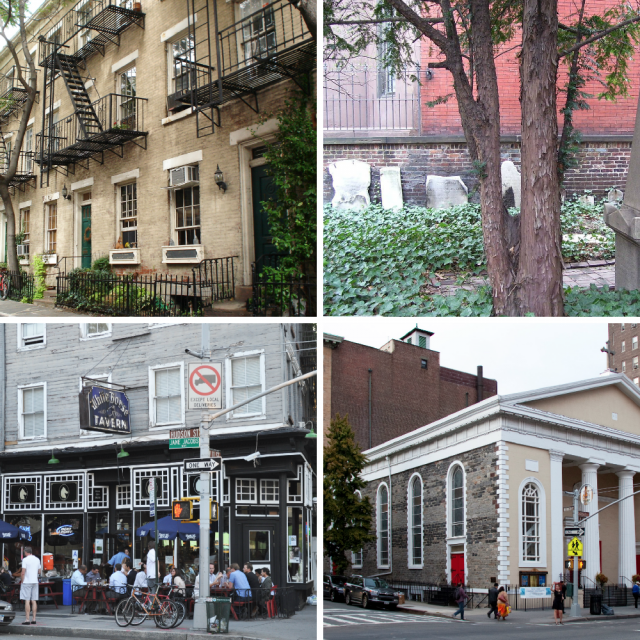 Follow the development and future listings for 235 East 39th Street at CityRealty.